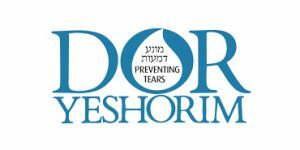 Dor Yeshorim is a non-profit organization dedicated to preventing and eliminating the most dangerous Jewish genetic diseases. 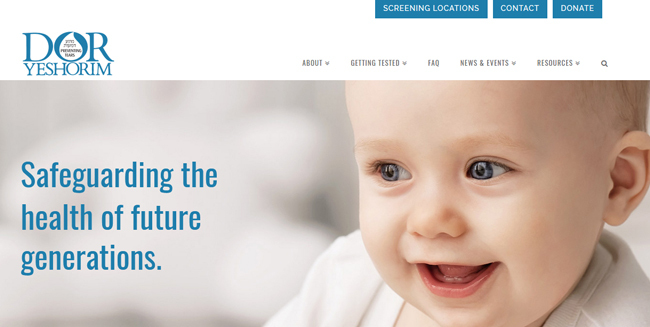 It annually screens more than 30,000 individuals across 12 countries and provides future prevention measures and guidance to families with children affected by genetic diseases. The ultimate goal of Dor Yeshorim is to eliminate fatal and debilitating recessive genetic diseases from the Jewish community through genetic research, premarital genetic screening, and the development of dependable testing methods. One of the true testaments of its efforts is the complete eradication of Tay Sachs. Founded in 1983 by Rabbi Josef Ekstein, Dor Yeshorim has since endured in its ongoing and relentless efforts to prevent fatal and debilitating genetic conditions. For more information about the company and its service, keep on reading our in-depth Dor Yeshorim review. Dor Yeshorim is primarily dedicated to making premarital genetic testing easily accessible to the general public. The company conducts mass screening drives at yeshivas, high schools, and colleges all around the globe. The fees are significantly below the actual cost of the tests and are subsidized by donors who can grasp the importance of the Dor Yeshorim mission. The organization performs blood-based genetic tests and provides every user with a unique number after the sample collection. The process doesn’t require any names, ensuring complete confidentiality, which is the backbone of Dor Yeshorim’s success. The DNA samples are sent to the processing laboratory and subjected to a wide panel of tests. Cutting-edge equipment is used to process the samples. Every step of the process is supervised by senior inspectors, with multi-leveled control mechanisms. The final results are incorporated into a sophisticated database under rigid quality checks. Dor Yeshorim spares no expense to ensure the ultimate test quality and precision. Mass and school screening results are generated within 3-4 months. The results for private screenings are available within 2-3 weeks. You can request expedited results for an additional fee. When two individuals start considering marriage, they can simply exchange their ID numbers and DOB and call Dor Yeshorim’s 24-hour hotline to request a compatibility check. The checks are unlimited, very fast, and completely free of charge. The highly experienced in-house staff compares the test results. If none or just one of the partners is identified as a carrier for a recessive disease, the match is declared safe and the parties can proceed. Dor Yeshorim also offers genetic counseling for incompatible matches. Dor Yeshorim is an invaluable genetic resource, especially if you’re considering starting a family. Until now, the company has already spared 4,775 families from giving birth to children with genetic diseases. Standard Ashkenazi Panel – The test screens for Tay Sachs, Cystic Fibrosis, Canavan Disease, Niemann Pick Type A & B, Familial Dysautonomia, Fanconi Anemia Type C, Glycogen Storage Type 1A, Bloom Syndrome, Mucolipidosis Type 4, and Spinal Muscular Atrophy (SMA). Sephardi/Mizrahi Panel – Due to frequent requests, Dor Yeshorim recently implemented a new testing panel that screens for genetic diseases most commonly found in Sephardic/non-Ashkenazic communities. The panel covers Tay Sachs, Cystic Fibrosis, Ataxia Telangiectasia, Achromatopsia (Total Color Blindness), Cystinosis, Nephropathic (CTNS), Fanconi Anemia Type A (FA – A), Infantile Cerebral and Cerebellar Atrophy (ICCA), Methylglutaconic Aciduria Type 3 (Costeff), Megalencephalic Leukoencephalopathy with Subcortical Cysts (MLC), Metachromatic Leukodystrophy (MLD), Myoneurogastrointestinal Encephalopathy (MNGIE), Methylenetetrahydrofolate Reductase (MTHFR), Autoimmune Polyendocrinopathy-Candidiasis-Ectodermal Dystrophy (Polyglandular Deficiency Syndrome Type 1), Usher Syndrome Type 2 (USH2), Progressive Cerebello-Cerebral Atrophy (PCCA), Pontocerebellar Hypoplasia Type 2e, and Spinal Muscular Atrophy (SMA). Optional Panel – This panel screens for Bardet-Biedl Syndrome Type 2 (BBS2), Nemaline Myopathy (NM), Dihydrolipoamide Dehydrogenase Deficiency (DLDD), Usher Syndrome Type 1 (USH1), Joubert Syndrome (JBTS), Walker-Warburg Syndrome (WWS), Maple Syrup Urine Disease Type 1B (MSUD1B), Familial Hyperinsulinism (Diffuse Type), and Gaucher Disease. For screenings outside of the US, you should contact your local representative. The organization spends millions of dollars annually in order to conduct sophisticated and extensive genetic research projects on diseases affecting Jewish ethnic groups. Dor Yeshorim plays a vital role in initiating/leading genetic studies dedicated to exploring the effects of genetic maladies on individuals, their families, and communities. Dor Yeshorim is adamant in its mission to research, develop, and utilize the most reliable and advanced testing methodologies and equipment to ensure precise and consistent results for many thousands of individuals across the world. Therefore, every test ordered brings Dor Yeshorim one step closer to its final goal of eradicating Jewish genetic diseases once and for all. Dor Yeshorim’s infrastructure was developed with an inherent level of confidentiality. This was done in order to protect potential carriers from stigmatization and to respect the dictates of numerous Torah luminaries. Dor Yeshorim website will collect voluntarily provided data, including your name, physical and email address, and credit card and/or billing information, as well as automatically collected information when visiting the website, including cookies, server logs, and third-party tracking technologies. The website will never collect any information apart from that which you willingly provide through emails, completed membership forms, and surveys. Dor Yeshorim might also collect anonymous demographic data like gender, age, political affiliation, household income, race or religion. The site can also gather data about your browser, IP address, and operating system. Dor Yeshorim doesn’t support the direct-to-customer system and provides DNA testing solely on chosen screening locations. Dor Yeshorim is a unique organization that strives to eliminate deadly or debilitating genetic diseases from the Jewish community. As such, it has our full support and our recommendation goes out to all our Jewish readers. The screening panels are offered below their usual price and conducted either on a large scale or privately. The processing part of the test is performed in a high-tech facility by the top experts in the field. The results are completely anonymous and individuals are addressed by their unique ID numbers rather than personal names. After everything said in this Dor Yeshorim review, we can only recommend the service to everybody and hope it achieves its end goal and eradicates all the life-threatening Jewish genetic diseases, allowing Jewish boys and girls to lead healthier, better, and longer lives. Our ratings are the result of an objective and independent evaluation of Dor Yeshorim, generating the final rating that reflects the overall quality of the company. Ratings may change as the service changes. Dor Yeshorim user rating based on 5 user reviews. 4 months for results, come on! We found 0 verified Dor Yeshorim discounts for April, 2019. There are no Dor Yeshorim coupons or discounts right now. If you like Dor Yeshorim but aren’t sure whether they are truly the ideal choice for you, you may want to take a look at our comparisons below to discover if one of their competitors is more suitable for you.